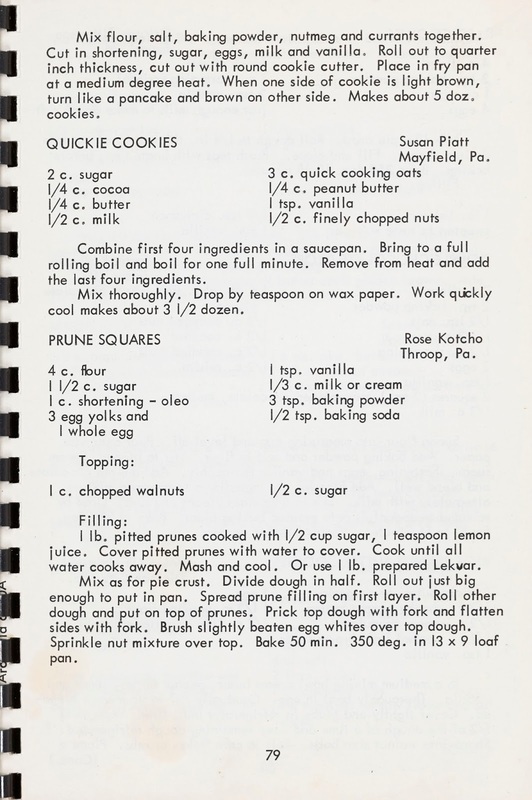 A book of favorite Recipes by Ladies Auxiliary of Archbald Athletic Association contains one of my most favorite recipes. I absolutely love no bake cookies. This recipe calls them quickie's which may be what I'll call these from now on. 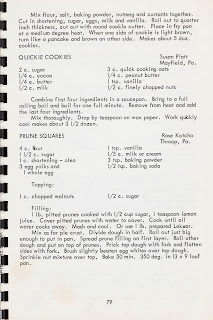 I also make my cookies with peanut butter as I believe peanut butter enhances any kind of dessert. I remove the nuts though. I'm just not a nut kind of woman. To get back on track, this weekend is my birthday and while not a milestone I love to pig out. I'll be making these cookies and probably eating the whole batch. I will then run four miles to appease my guilt. It will all be worth it as I always eat the best foods on my special day.